Create the desired plans in your Chargify account. Chargify handles almost almost any billing scenario possible – free trials, flexible billing cycles (monthly, annual, or custom), coupon codes, and so much more! Install the WordPress plugin and connect it to your Chargify account. 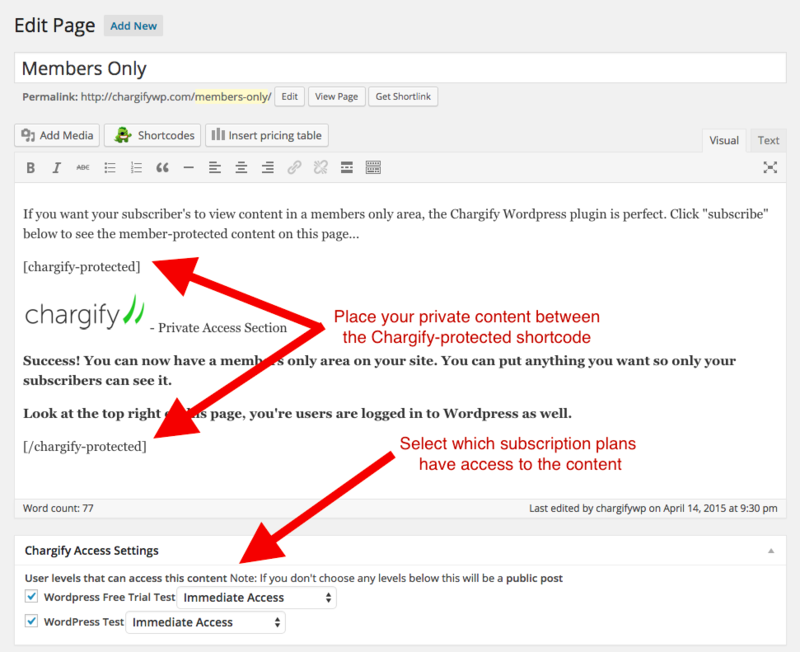 Create members only content by placing shortcodes on the desired WordPress pages. Let visitors sign up and watch the revenue come in! If you need to create different subscription levels such as $10/month for partial access or $20/month for full access, you can easily control what content is accessible based on the customer’s subscription level. This functionality provides tremendous flexibility and revenue potential. Signing up subscribers is only half the battle. Luckily, Chargify provides a customer-facing, self-service billing portal where your subscribers can manage their subscriptions (upgrade, downgrade, updating billing info, etc.) and cancel if needed. You can customize it based on which functionality you need. 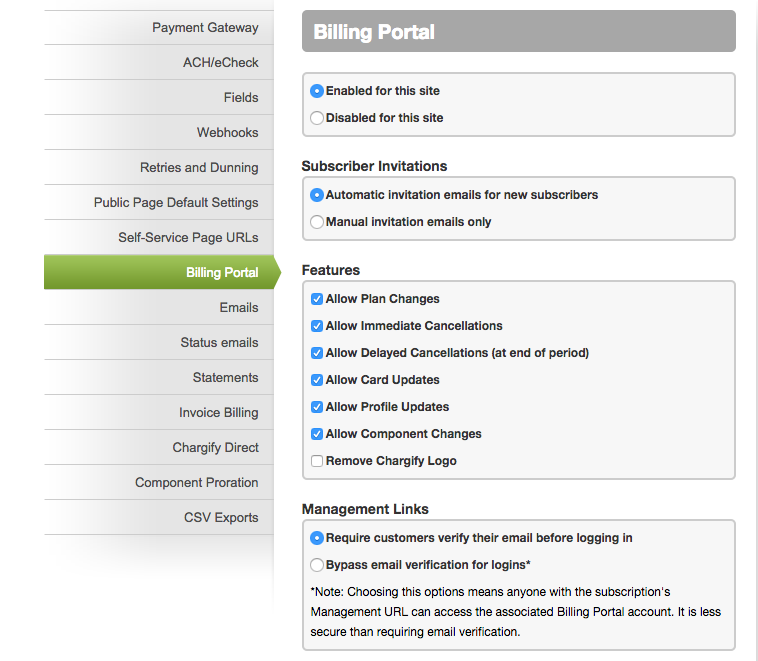 The billing portal automates the subscription management process so you can focus on what’s important – growing your business. To see the plugin in action, check out the demo site. For step-by-step instructions on how to configure Chargify and the WordPress plugin, please visit the documentation. Disclaimer: This plugin has been available for many years, but v1.x was limited, buggy, and frankly, did not work well. With the release of v2.x, the plugin is now stable, feature-rich, and works as advertised. Thanks to 9seeds for working with our team to release v2.x.